Everything in your life stems from the frequency you hold and the alignment you have with Source. All good things - your health, your success in relationship, your work or livelihood and your mental clarity come from your continual attainment of that alignment. Here at Spirit Source Connect, we offer you private sessions, following up with Life Coaching, plus tools you can purchase and use at home to maintain a high vibration. This is what causes you to continually attract magnificent opportunities into you your life. ​Enjoy the offerings here, and Lift Your Vibration! This month I am offering a new, simplified package of 3 sessions that occur over the course of 30-days. This March pricing is a significant savings over if you purchase single sessions. 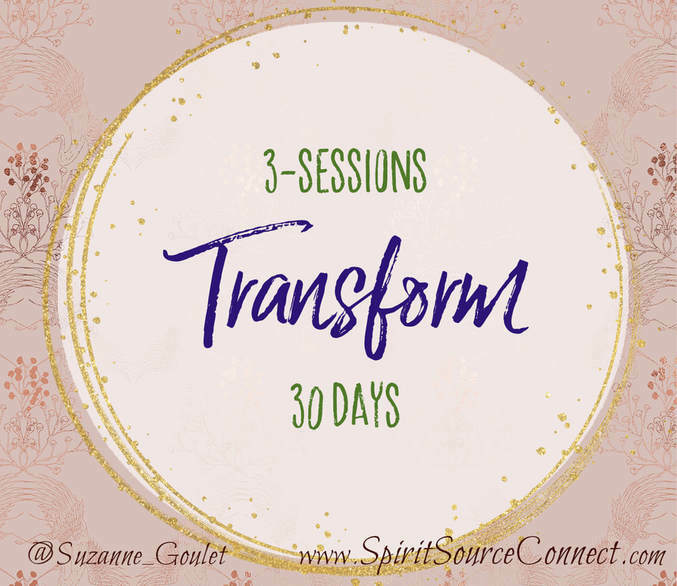 "3 Sessions & 30 Days to Transformation". Read more about it, then fill out the questionnaire. Only 10 spots available this month. Suzanne Goulet is a high level coach for gifted and spiritual entrepreneurs seeking a stronger connection to what they are here to be, do and have. 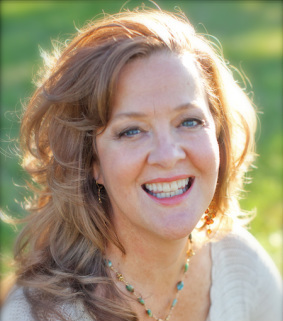 By using her own innate and long-cultivated connection with Spirit, Suzanne offers a range of uplifting support from complimentary audio, downloadable channeled energetic meditations to highly customized coaching programs that have effectively proven to gracefully and powerfully transform the lives of those seeking a new way of experiencing their world. She is the creator of the Live Global Energetic Downloads, manages private group coaching programs, Facebook groups and is a frequent guest on radio and online TV programs. "When you're in your own spiritual alignment, you're going to feel a growing flow moving through you as a creative force that continues to expand in your daily life."